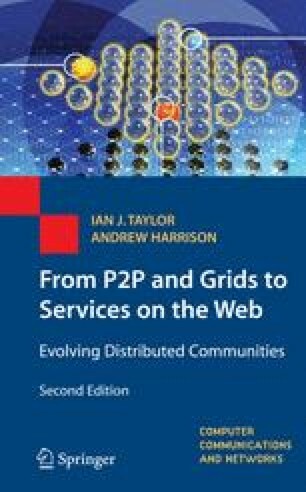 As outlined in the taxonomy in the previous chapter, a major theme that needs to be addressed amongst many of the distributed architectures and protocols we talk about in this book is the concept of discovery in both the Intranet and Internet scale domains. Some systems keep this simple by providing a central lookup point in the network but such a scheme, although convenient, is often not scalable to larger networks. Therefore, different mechanisms are needed in order to create a manageable discovery backbone for the automation of the discovery process. In this chapter, we discuss some of the common techniques that are used for discovery and describe the underlying protocols that these techniques rely on.